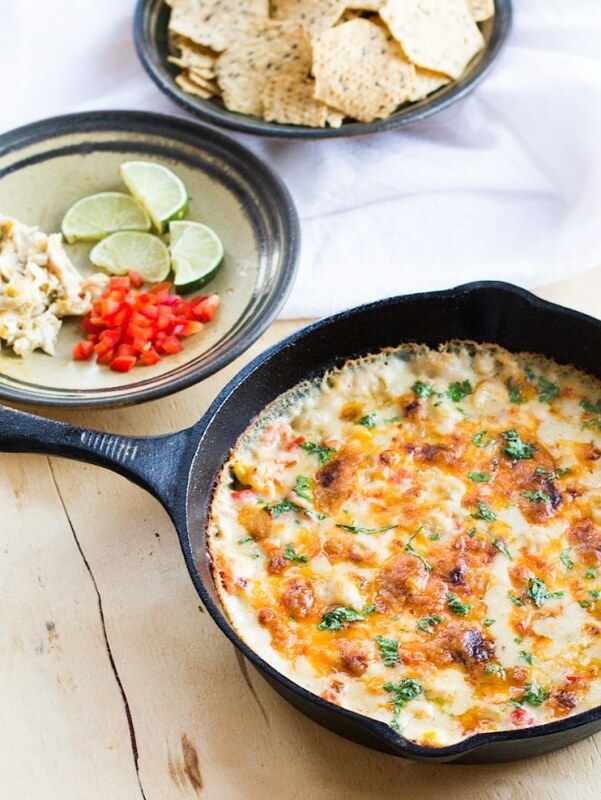 Watch video above to see how to make Skillet White Chicken Chili Dip! It’s the middle of December and my instagram feed is filled with people enjoying their holiday traditions – cookie baking, tree lighting, sledding and party filled evenings. I can’t help but love this time of year, even if a little hustle and bustle comes with it. Between Brian and I, we have four families to celebrate with, meaning lots of good food, fun and love. On Christmas Eve we head to Brian’s mom’s, all 25+ of us (and growing!) for a day filled with hot toddies served in her original set of Tom & Jerry mugs from the 1970’s and the annual Shuv-unda game (more on that soon). We forgo a big meal with lots of prep and instead everyone brings their favorite appetizers, a tradition I’m totally a fan of. I probably eat more cheese around the holidays than I should, but I’m quite alright with that. 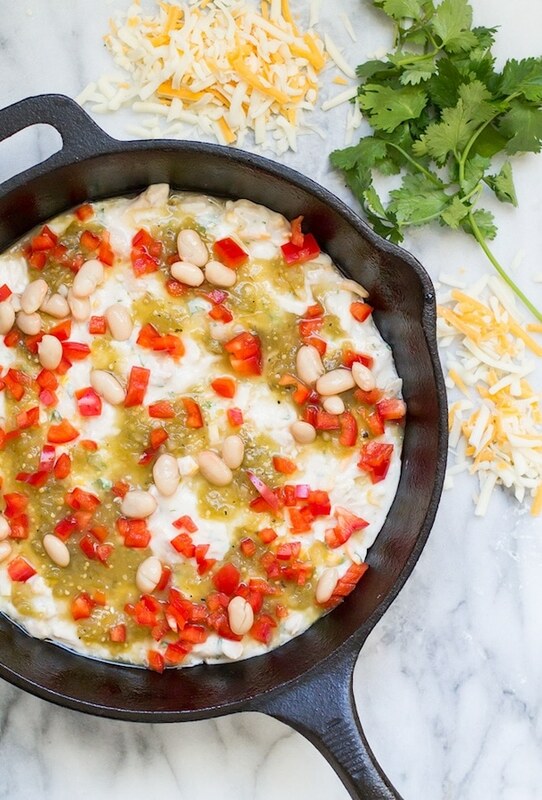 Last year I brought this (love how pretty it looks stuffed with pomegranates) but this time I’m bringing the heat – White Chicken Chili Dip served piping hot in a skillet. I don’t know about you, but I’ll take white chili over red any day. The combination of soft white beans, lots of garlic and zesty salsa verde is just so perfect. Sometimes with chicken, sometimes without. Either way, it’s just how I like to warm up on a winter day. 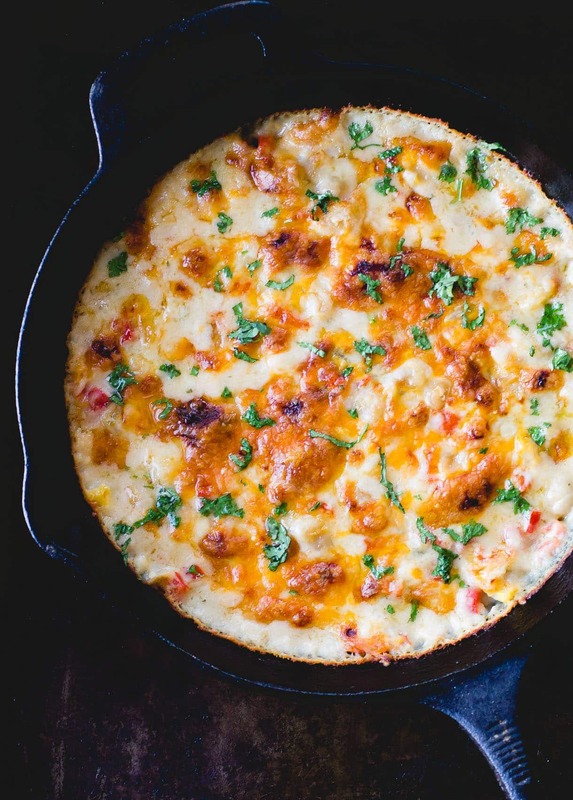 This cheesy dip version came about as I was looking to use up some leftover rotisserie chicken (side note: Whole Foods now roasts organic ones daily). And it was Sunday – chips and dip are kind of a required thing for watching football around here. I ended up having a can of white beans and half a red pepper handy, along with a jar of my homemade salsa verde. There was only about a cup left of a mozzarella/cheddar cheese bag, so to give it a little more volume I pureed 3/4 of the white beans with a some sour cream and garlic. Let’s just say that might have been one of my better ideas. I’m not lying when I say we fought over who got the last scoop (these Food Should Taste Good chips are my go-to, sturdy and made from simple ingredients) and we had no intentions of eating all of it. That being said, if you bring it to a party, make sure you grab some right as you set it out. It won’t last long. This is the cast-iron skillet I have, such a workhorse for less than $20. Reserve ¼ cup of the drained beans, set aside. Add the rest of the beans, sour cream, garlic, lime juice, cumin, and salt to a food processor. Puree until smooth. Taste and add a little salt if needed. 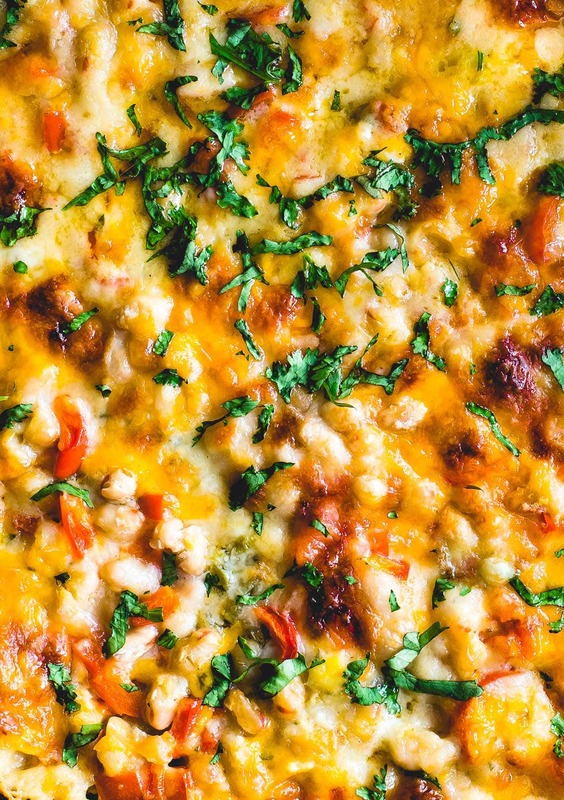 Stir in chicken, corn, cilantro and 1 cup of cheese. Spread onto bottom of skillet, then evenly sprinkle remaining ¼ cup white beans, red peppers and salsa verde on top of the mixture. Cover with remaining cheese. Bake for 16-20 minutes, until dip is bubbling and browned on top. Serve immediately. Can be rewarmed as needed. this blog is supported by the use of Amazon links, and shall earn a small commission should you purchase something through it. thank you for your support! This sounds like it packs a real flavour punch – I can see why you guys couldn’t stop eating it! maybe with some fruit to balance? hah! YUM! We always did appetizers on Christmas Eve – I love appetizer traditions! 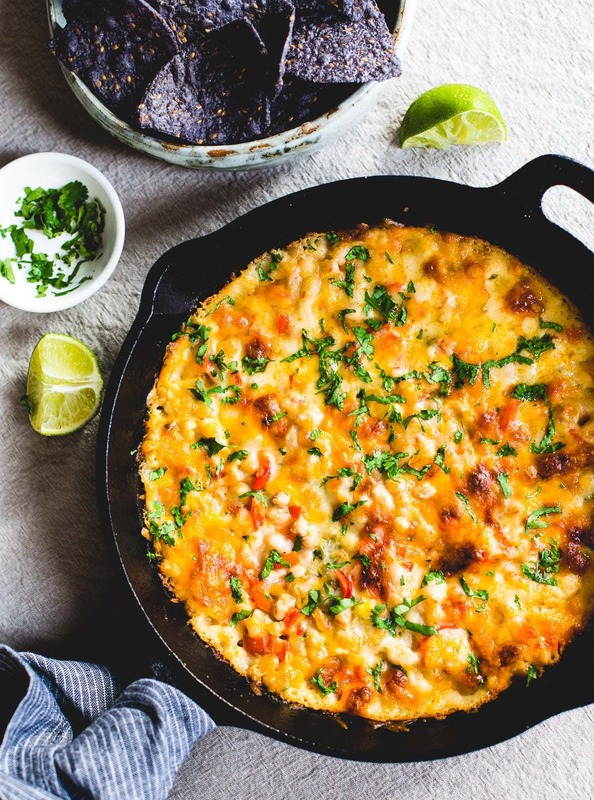 :) This recipe? DROOL! Oooo this looks so good, and perfect for a party dish! 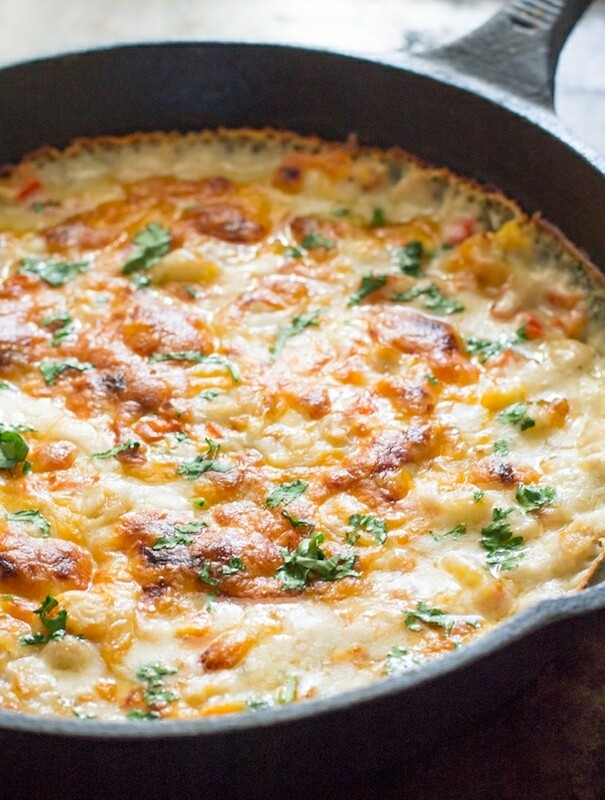 I’m drooling just looking at this dip. It must happen soon in my kitchen. I am dip eating Queen. This will be added to my list of must makes. YUM! OOH! I do love chili during these cold winter months, the fact that its a dip makes it the perfect snack to bring to these upcoming holiday parties. Indeed Laura! It travels well too if you want to make it ahead, then just rewarm it in a 300 degree oven. The holidays at your house sound like so much fun. An appetizers-only holiday meal sounds just up my alley – I prefer snacking and small bites over a big meal any day. Maybe I should try to convince my family to try that this year. So much less stress too! Last year, now that the cousins are all grown up and we don’t have any kids around yet, we implemented our first (hopefully annual) $10 white elephant exchange, which ended up with some people bringing serious gifts and others bringing As-seen-on-tv gifts (cough-mybrother-cough). I REALLY like the Shuvunda game idea! I have lots of blog swag I could bring (a bag full of branded shopping bags and aprons, perhaps?). Also, I wish I had been there to eat this – I’d also fight for the last bite. I should make a skillet of this to munch on during my hibernation week of dissertation writing (aka right now). PS. Sorry for the novel. I just love everything about this. is the 1/4 cup of reserved beans used at all? Don’t see it in the recipe steps unless I am missing it. Hi Jen! Thanks so much for stopping by. Adding the 1/4 cup of reserved beans is listed in the directions where you sprinkle on the diced red peppers. Let me know what you think after you make it and happy holidays! This looks delicious. Cant contain!!! What can be substituted for salsa verde? Hi Zay! Thanks for stopping by. You could use a red, tomato based salsa that you really enjoy instead of the salsa verde. Hope that helps! of us who like it really hot. We do appetizer night on Christmas Eve. It’s so much easier and not as filling as a big meal. enjoying the holidays as much as our family. Families are what it’s all about. Its in the oven right now and my house smells delicious! Im making thiss for my family for a lite summer dinner (lite: as in not lots of food,, not low calorie! ;-) ) my kiddos and hubby cant wait to try it! Thanks for the recipe! Oh yes, that smell when it bakes is phenomenal! Hope your family enjoys. Just printed the recipe, going to make it for a Sunday afternoon snack around my house when no one is really hungry just need comfort snacks! Looks delish! This is such a good Super Bowl option! 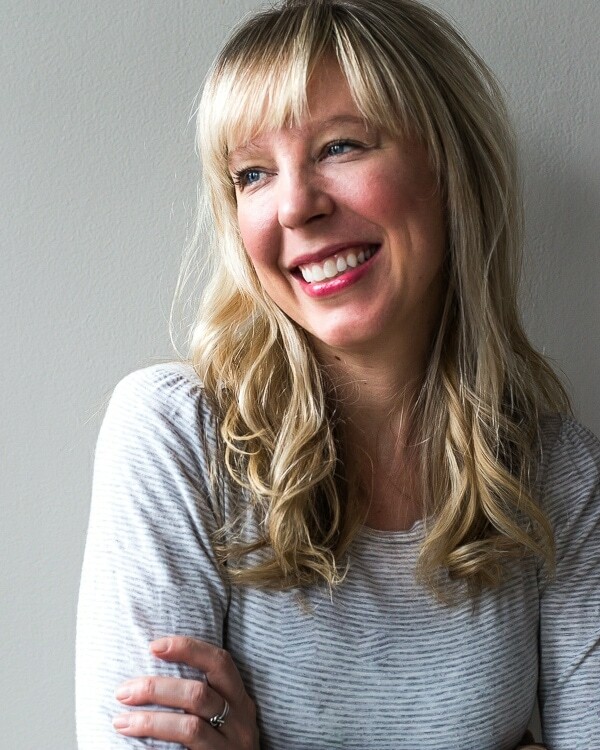 Being a food blogger I have made it my goal to visit more pages of fellow foodies. I should not have visited this one right before lunch! lol I literally want to just dive into that dip with crackers, bread, whatever! AMAZING! 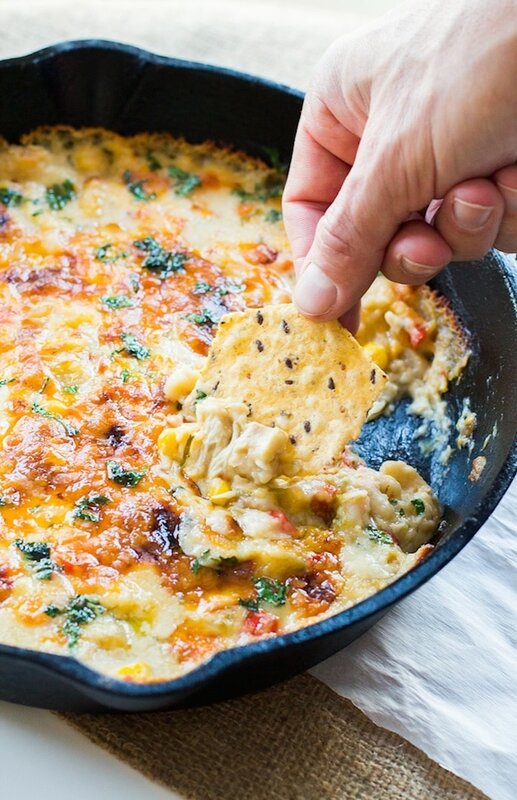 i can’t help but say it’s our favorite dip. cheesy win! Definitely trying this for New Years! Yum! Oh my gosh, yum! I can’t stop thinking about how amazing this would be! I’m making it as I type for my family for new Year’s Eve. I had to substitute the white beans because of being allergic to them. I had black lentils from sprouts in a can that I used. It tasted so yummy in the blender. I also used green enchilada sauce instead of the verde didn’t have any on hand. Were so excited to try it!! It smells delish!! Love your spin on this dish –I seriously might have to make this tonight. I need some Netflix snacks! that sounds like THE perfect plan. I just made this!!! It totally hit the spot, and we all loved it! By the time I got home to cook, it was too dark for me to take a photo, but I’ll be making it again for sure so maybe next time. :) I forgot to buy sour cream, so I subbed 2 tablespoon mayo + 3 tablespoon plain yogurt and it worked beautifully. SO much flavor and love the pureed white beans and cheese combo! Yes, I think that would work well!